Congratulations on an excellent 2017 season! Race Cats Elite Highlight video below. What is Race Cats Elite? Race Cats Elite is designed for kids who have some experience with running and want a little more mileage or structured training. Maybe they have the goal of competing at the USATF State meet and qualifying for USATF Junior Olympic Nationals. Race Cats Elite can be registered for in addition to your child's participation in the Race Cats elementary school program, middle school cross country team, city rec. program, or any other sport. Or Race Cats Elite be registered for separately. If your child is ONLY participating in Race Cats Elite during their fall season, we suggest that they also run on their own or with a friend once or twice a week in addition to their Race Cats Elite training. 7-15 year old runners who consistently place in the top 10 for their gender and age division at city rec. meets or middle school meets and who want a little more volume in their training and opportunities for racing. Kids who have the goal of racing at the USATF State Meet and qualifying for USATF Junior Olympic Nationals. Middle school cross country runners who want an additional training day during their season and want to continue training after their season ends. Kids who play another sport but also love to run and want to compete at the highest level. USATF Youth Membership Required: $20/yr. If you already purchased one in Nov. 2017, it is still good for 2018! Please Note* If you don't already have a USATF membership, get two years of USATF membership for the price of one. 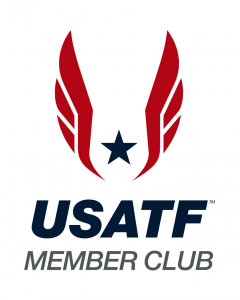 Wait until after November 1, 2018 to purchase your child's USATF membership and it will be good for the remainder of 2018 and also 2019. Race Cats Elite members who would like to join us at the Junior Olympic Nationals on Dec. 8th in Reno are responsible for their own travel arrangements. I am following flight prices and will email the group when I make my own arrangements so that we can follow a similar itinerary and have plenty of "team time" on our trip. Twice/week practices from September 4-December 8, 2018. $10 Discount for Race Cats members who also do the Elementary program. Full season training schedule with daily mileage suggestions for kids who want more guidance. Practice attendance is not mandatory, but strongly encouraged. The more your child attends practice, the more they will improve! Runners who place in the top 10 for their age/gender classification in middle school, city recreation, or Race Cats races are invited to join our Race Cats Elite team for the second half of our Elite season; Oct. 22nd-Dec. 8, 2018. Registration for mid-season add-ins will close on Nov. 6, 2018 in order to be included on our roster for the USATF State meet on Nov. 10, 2018. The top 15 individual finishers and the 1st place team in each gender and age division at State on Nov. 10th will qualify to compete at the USATF JO Nationals on Dec. 8th, in Reno, NV. If not everyone in the top 15 or on the winning team's roster are able to travel to Nationals, alternate spots will open up for kids who ran at State and are next in finish order. Competing at Nationals is not REQUIRED of Race Cats Elite team members, but strongly encouraged. Twice/week practices from October 22-December 8, 2018. New in 2018! Race Cats Elite - Heriman! We now have TWO training groups for Race Cats Elite. Our Draper Group will meet at Draper Park on Tuesdays from 4:30-5:45pm and Corner Canyon trailheads on Fridays from 4:30-5:45pm. Our Herriman group will meet at Daybreak Elementary on Tuesdays from 4:30-5:45pm and various trails in and around Herriman on Fridays from 4:30-5:45pm.